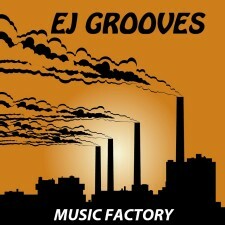 We are EJ GROOVES. We have been gigging in the Seattle area for about five years. We have an album out “Music Factor” recorded at “Rogue Island Recording Studios” working with none other then “Eric Janko” the same man that produced platinum recording artist “Spice One”. We have about 2 hours of all original music. We are liken to Pink Floyd, Steely Dan, Almond Brothers, Santa, Sublime, Jack Johnson, and Dave Matthews Band.